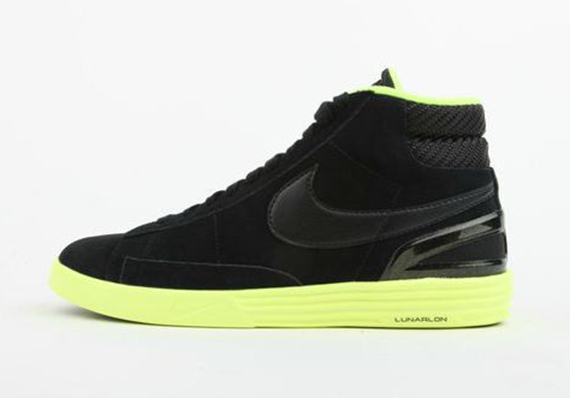 One of the many ways NSW will celebrate 40 years of Nike's debut basketball shoe is previewed today in the form of this Black/Volt Lunar Blazer. The updated Blazer puts to use a full nubuck build, a reinforced collar with an external heel counter, and a Blazer-inspired Lunarlon tooling. Black dominates the look on the updated classic, while volt calls out the key tech update over the Lunarlon tooling sitting down below. 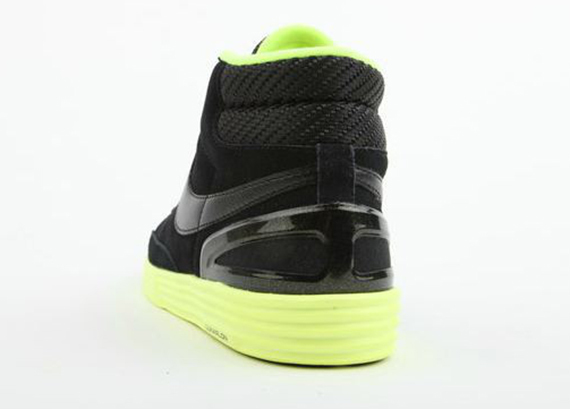 Stay tuned to Sole Collector for further details on the Black/Volt Nike Lunar Blazer.